This past week we had the opportunity to demonstrate for three very amazing young medical students most of the challenges that one is likely to encounter in the process of conducting rural community development training and research. 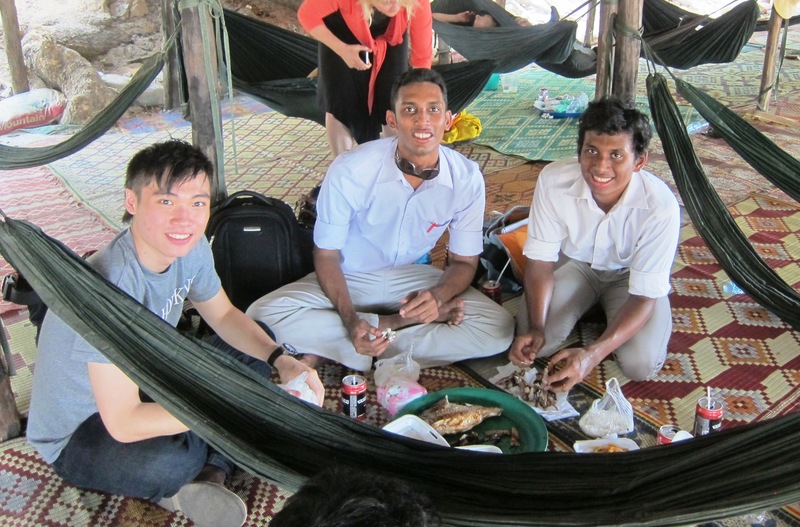 We were training in a government health center which is a forty minute tuk-tuk ride from Siem Reap, guaranteeing that before the day even started we were hot, sweaty and filthy. 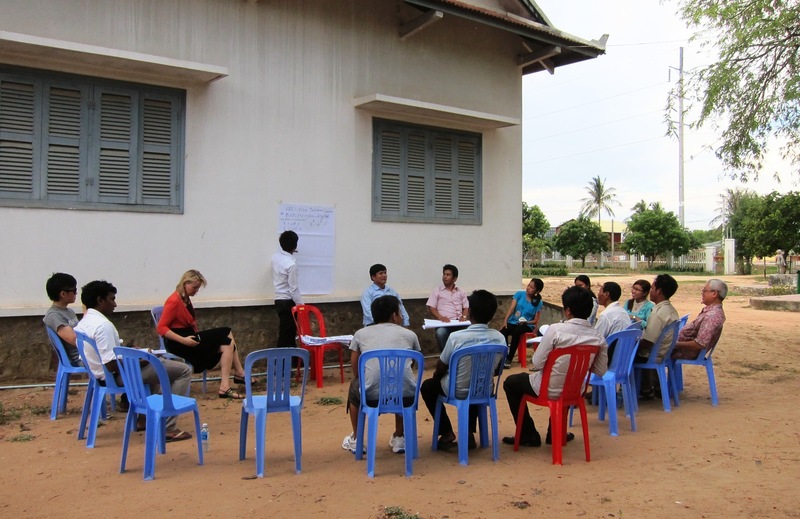 Our co-facilitators had minimal English but then the training was done in Khmer. We however, did not have a great understanding of what was actually happening. We had no part in the planning for the training and were working with great facilitators but although we had met once before we had not worked together. Their organization has a very different approach to CHE and do not use the style of facilitation that we normally do. This was a bit of a problem since the medical students were hoping to see a typical TOT1 as part of the research they were there to carry out. Thanks to Dr Su Min’s creativity, our TWR staff’s willingness to step in and the gracious attitude of our facilitators they did see a few typical lessons and even managed to help facilitate a few. Amit got to see how something that looks pretty straightforward on paper can actually be quite challenging to facilitate. It goes without saying that there was no air conditioning. It was blistering hot and the electricity was spotty so often the ceiling vans were not even working. At one point we moved outside where there was a bit of breeze. The participants came from varied backgrounds and education levels; villagers, RHAC trainers and nurses from the government clinic, making the training even more challenging. Lots of distractions as children wandered in to see there moms, patients strolled by with their IVs held above their head and patients arrived by all sorts of transport. Fortunately, we did have the assistance of Kimsong from TWR to assist with the translation for the research Focus Group Discussions and surveys, so hopefully the students will be able to get the information they need for their report. A fourth medical student was unable to come as she couldn’t get excused from a classroom based course on conducting research in a community setting. I hope that she learned as much as Ravi, Amit and Wesley did.